1. Click here to join Our Live Training Event. 2. Use your USB headset w/mic & speakers (see image below). Or, call in using your telephone. What is Live Training? Imagine learning everything you need to know about updating your website, social media, email etc. from the comfort of your own home, office or fire station. Live training occurs on your computer… sit back relax, watch, listen in and ask questions. Every question is a great question… we will cover anything asked to the best of our ability. How Long is Live Training? Your welcome to arrive late and leave early! Live training typically lasts for an hour… but we’ll stay later to take care of your questions. How Much Does it Cost? That’s the best part! Live Training is free and unlimited, so join in as often as you desire. We suggest all clients attend at least 3 to 4 events a year just to see what’s new… or get a peek at what’s about to debut. How Boring is Live Training? We try to keep it fun, lighthearted and lively… we don’t want to be the cause of any training induced comas. What Do I Need? 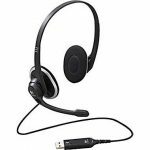 We recommend an inexpensive ($12.00 cheap) USB headset with microphone and a computer, tablet or smartphone with a descent internet connection. Why purchase a USB headset? To avoid tying up a phone line and long distance phone charges. Due to technical limitations of virtual training… refreshments will not be served. Hope to train with you soon! © UnionCentrics, LLC. All rights reserved.